Grain free dog supplements and grain free dog food are gaining in popularity, but are they truly healthier for your dog than other dog supplements? When you are looking for a good dog food or dog supplement, the most essential element to consider is if your pet is receiving a well-balanced and nutritious diet. You will want to make sure that the food doesn’t have a high amount of each essential nutrient either because too much can be a terrible thing. Another element to consider when choosing a grain free dog supplement is the number of carbohydrates the food or supplement contains as well. 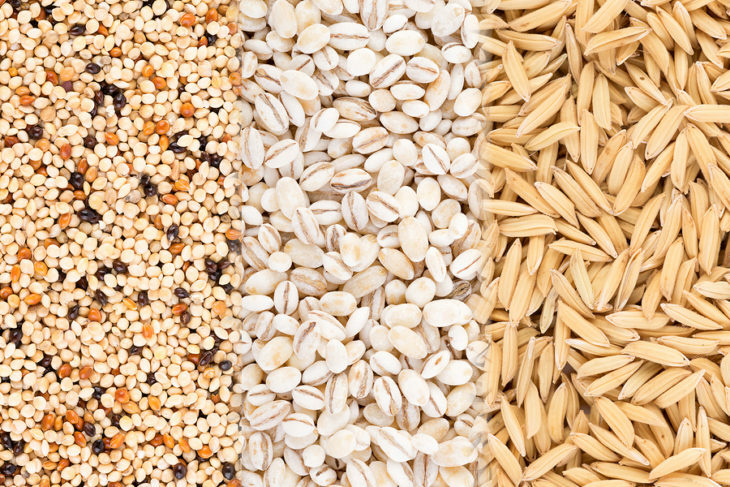 Just because it is grain free, does not necessarily mean that the food and supplements are low in carbohydrates. Some brands may actually contain higher carbohydrates than food or supplements that contain grain products. Some people feel that if their dog has food allergies than a diet that includes grain free food and grain free supplements will help with the allergies; this isn’t always true either. Beef has been shown to be the most common allergen for dogs while grain and corn were among the fewest allergies. Look at the ingredients and the nutritional profile as a whole, rather than examining individual ingredients. To have a well-balanced diet, you will want to be sure that your pet is getting an adequate amount of each vitamin and mineral and not ingesting more than what their body needs. If you are ever not sure about a brand or an ingredient, it is always recommended that you consult with your veterinarian to find the best option for your pet. How do you know what grain free dog supplement would be best for your pet? I have compiled a list of the top grain free dog supplements to help make your decision a little easier. Nupro Custom Electrolyte Formula Dog Supplement is a Veterinarian recommended and all natural grain free dog supplement that helps to maintain proper fluid balance within the blood and tissues. It also helps to fight against fatigue, nausea, and diarrhea and improves the dog’s appetite after stress or workouts. Electrolytes provide a balance of minerals that are essential for the health of your dog, especially in warmer climates. Petvi Probiotic Treats are soy, gluten, and grain free dog supplements that support healthy digestion, immunity, and regularity. Nutritional deficiencies can occur as the dog ages and eats certain foods. These nutritional deficiencies can negatively affect the dog’s health which is why it is important to find the best grain free dog supplement to promote healthy digestive functions. Healthy digestive functions include the dog’s ability to break down the food and absorb the nutrients. Digestive enzymes help immune function, reduce inflammation, remove toxins and waste, regulate hormones, and can even slow the rate of aging. These probiotic and grain free dog supplements can also help prevent gas and bloating, and bad breath. They are easy to give to the dog, and they only require one per day. Primo Pup Skin and Coat Support for Dogs is a grain free dog supplement that provides a beneficial blend of omega-3 fatty acids from Alaskan salmon oil and other essential nutrients to support a soft and shiny coat. It also provides beneficial cardiovascular support and inflammation reduction. Primo Pup uses only high-quality ingredients and has been Certified by the National Animal Supplement Council. Salmon oil provides a higher antioxidant content that maximizes the benefits from the omega-3 fatty acids. The DHA is another type of omega-3 fatty acid and helps support healthy brain function. Depending on the dog’s weight they will be given one to four of these grain free dog supplements per day. Majesty’s Buddy Bites Kalm and Kool Grain-Free Supplements are ideal for dogs that get nervous or upset by sudden loud noises such as fireworks, thunder, traveling, and even aggression. It is a complex blend of supplements and herbs that help to support balance for your dog concerning their behavior. They are NASC certified, and it comes with an 8-week supply for medium dogs and a four-week supply for larger dogs. These supplements include apple sauce, carob, coconut flake, and vanilla. Depending on the weight of the dog they will require one to three wafers daily. Pet MD Hip and Joint Supplements are grain free dog supplements that help support healthy joints and cartilage and increases your pet’s mobility. The supplements provide increased flexibility and can also be used as a stress reliever that helps with arthritis and other joint problems. These joint supplements contain over twenty ingredients that will help to ensure that your pet is feeling at their best. They are suitable for dogs of all breeds and sizes and are FDA, USDA, and FSIS regulated. They are especially suitable for older dogs to help relieve some of the hip and joint pain they may be experiencing. Finding the best grain free dog supplement for your pet is beneficial to their health and overall well-being so that they are receiving the proper amounts of essential vitamins and minerals and other nutrients that their bodies need to reach their maximum potential. Before starting your dog on any sort of supplement, it is best to seek the advice of your veterinarian so you can be sure that these supplements will not interfere with your dog’s health or react to the food they are currently given. FREE Dog Food Recall Alerts By Text Message!